Winter Olympics 2018 – The science of bobsleigh! 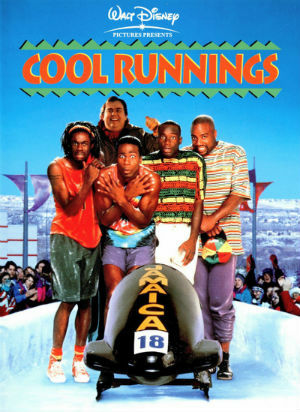 The 90s classic, Cool Runnings, is the ultimate underdog movie. This tale of four young men from tropical Jamaica is actually based on a true story! Having just failed to qualify for the Olympics for track, they teamed up with a retired American bobsleigh coach and overcame many obstacles to form the very first Jamaican bobsleigh team and compete at the Winter Olympics. Jamaica did indeed enter a bobsleigh team for the first time at the 1988 Winter Olympics in Calgary (the same year Australia debuted in the event; no movies were made about our team though!). It garnered a lot of attention since you need a sled and an ice track to practice on; neither of which the Jamaicans had. But with the support of other teams and the wider community, Jamaica has been able to compete at almost every Winter Olympics since then, including this year! The sport of bobsleigh originated in Switzerland. It evolved from people mucking around on sleds and toboggans, getting banned from the motorways, to a fully-fledged Olympic event. The first half-pipe run was built by a Swiss hotel owner in the 1870s in order to attract tourists to stay during the off-season in winter. For more on the history of the sport, check out this video. Bobsleigh is fast. It’s dangerous. This has earned the sport the nickname of “Formula One on ice”. But how does the sled get to ridiculous speeds of up to 200 km/h, with just two or four people pushing a metal frame on runners with no motors, down a narrow, twisty ice track?! 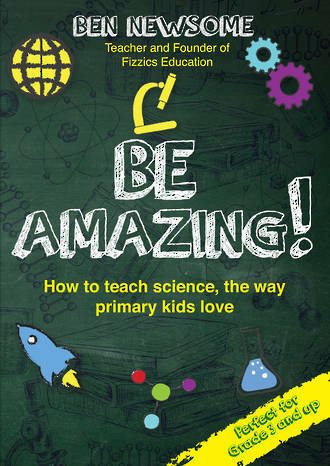 Science, that’s how! To get started, the bobsledders must push as hard and fast as they can down a straight stretch. This is because the energy and momentum gained from this push is all they have to work with for the entire race. Once all the bobsledders are in the sled, that’s it! The rest is up to gravity and their ability to conserve momentum. To help them gain traction on the ice so they can push the sled, athletes wear start shoes with little spikes on the bottom to increase friction! Since the total force acting upon an object is equal to its mass multiplied by its acceleration (F = m x a), according to Newton’s second law of motion, the heavier the sled the more momentum it will have. This is why there is now a weight restriction on the total weight of the sled, including the crew. The ‘bob’ in bobsleigh comes from the motion of the athletes bobbing back and forwards trying to speed up the sled, sort of like how you would on a swing to get it swinging higher. 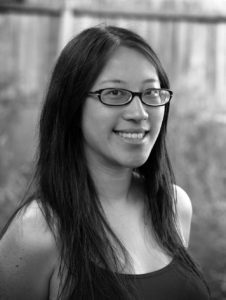 But this method was not very effective, probably because any advantage gained would be negligible compared to all the other forces at play. 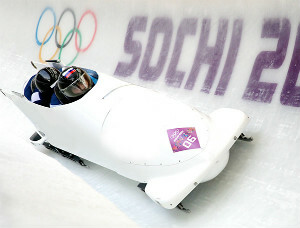 The bullet-shaped sled and the skin-tight suits worn by the athletes are all for one reason: to reduce air resistance, or drag. If you’ve ever felt the wind on your face while speeding down the path on your bike, you’ll know what I mean. When you are moving, you have to push through all that invisible air. The faster you go, the harder it gets. In order to make sure the sled goes as fast as it can without losing too much energy to drag, the crew and the sled must allow air to pass over it as unobstructed as possible. That means smooth curves and surfaces on the sled, and no sticky-outy bits such as handlebars. This is also why bobsledders sit very low inside the sled and keep their heads down during the race! Friction is also a big player in slowing down the sled. A bump here and a scrape there all add up to a conversion of kinetic energy to heat and sound, and could mean losing that fraction of a second worth of advantage! The team’s driver has to carefully steer the speeding sled through the narrow run to avoid any unnecessary contact with the sides of the race track. When something is accelerating, it can experience g-force. The g-force isn’t really a proper force, but it does cause a perception of weight. When a bobsledder sits in a stationary sled, all the forces are balanced and they wouldn’t feel any different than normal. But at high speeds during turns, their bodies may not be moving in relation to the sled, but the sled is accelerating around the track very quickly. So where there is contact a whole lot of pushing can be felt, in this case the seat of the sled on the bobsledder’s bottom. During a race a bobsledder can experience up to 5 G, which is comparable to how a pilot feels in a fighter jet! The driver of the team knows that the perfect racing line means achieving the fastest time. For every turn they must assess the angle at which to make the turn versus the distance and time it takes, to find the optimal combination. Too high, and the sled would have to travel a longer distance; too low and the sled may not make the turn and risk crashing. The rest of the team relies on the driver’s judgement and quickly leans in the same direction to help steer the sled. Here’s a video made by a high school student for physics class! What a great idea for a science project so your students can explore their favourite sport at the Winter Olympics! For more Winter Olympics science, watch this space over the course of the games! Learn more about ‘Forces, Friction and Movement’ with the Fizzics team! BACK | Winter Olympics 2018 - The science of bobsleigh!